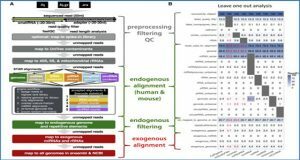 Altered interaction between CD200 and CD200R represents an example of “checkpoint blockade” disrupting an effective, tumor-directed, host response in murine breast cancer cells. 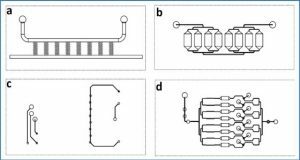 In CD200R1KO mice, long-term cure of EMT6 breast cancer, including metastatic spread to lung and liver, was achieved in BALB/c mice. The reverse was observed with 4THM tumors, an aggressive, inflammatory breast cancer, with increased tumor metastasis in CD200R1KO. Researchers from Toronto General Hospital explored possible explanations for this difference. 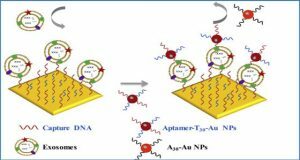 They measured the frequency of circulating tumor cells (CTCs) in peripheral blood of tumor bearers, as well as lung/liver and draining lymph nodes. In some cases mice received infusions of exosomes from nontumor controls, or tumor bearers, with/without additional infusions of anticytokine antibodies. The measured frequency of circulating tumor cells (CTCs) in peripheral blood was equivalent in the two models in WT and CD200R1KO mice. 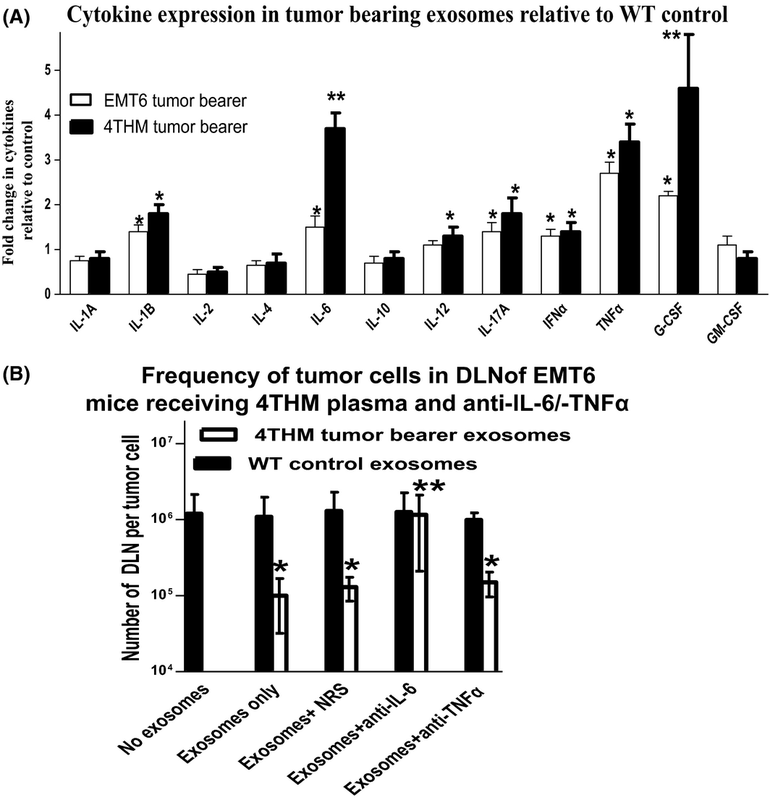 Increased metastasis in EMT6 tumor bearers was seen in vivo following adoptive transfer of serum, or serum-derived exosomes, from 4THM tumor bearers, an effect which was attenuated by anti-IL-6, and anti-IL-17, but not anti-TNFα, antibody. 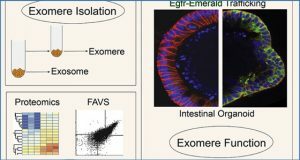 Anti-IL-6 also attenuated enhanced migration of EMT6 cells in vitro induced by 4THM serum or exosomes, or recombinant IL-6. 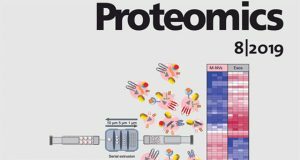 Exosome cytokine proteomic profiles responses in 4THM and EMT6 tumor-bearing mice were regulated by CD200:CD200R interactions, with attenuation of both IL-6 and IL-17 in 4THM CD200tg mice, and enhanced levels in 4THM CD200R1KO mice. 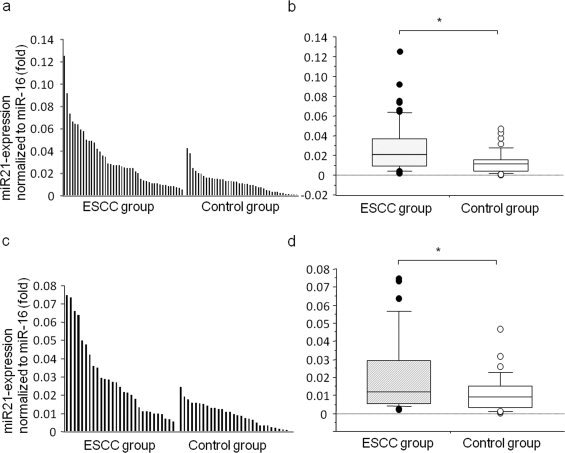 Effect of serum or exosomes (equivalent to 5% serum concentration in vitro) from wild-type (WT) or 4THM mice, or recombinant cytokines (IL-6/IL-17: 5 ng/mL) on migration of 4THM (A) or EMT6 (B) tumor cells in Boyden chambers over 18 h. Cells (2 × 105) were included in the upper chamber only (an 8-μm pore size filter was used). At 18 h, cells were detached from the lower surface of the filter, concentrated by centrifugation, and counted. Data show mean ± SD for triplicate samples. Data along the abscissa show the culture conditions used in the lower chamber. In some cultures, anti-IL-6/anti-IL-17 antibodies (10 μg/mL) were also included in the lower chamber. *P < 0.05 compared with cells migrating in medium only; δP < 0.05 compared with equivalent cultures without anti-IL-6. 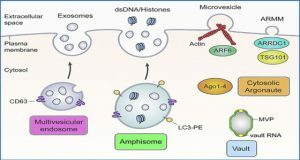 The researchers suggest these cytokines act on the microenvironment at sites within the host, and/or directly on tumor cells themselves, to increase metastatic potential.